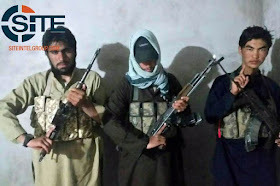 ISIS has released a photograph showing three of its militants who are said to be behind a devastating terror attack on a police academy in Pakistan, which left at least 59 people dead (see HERE). 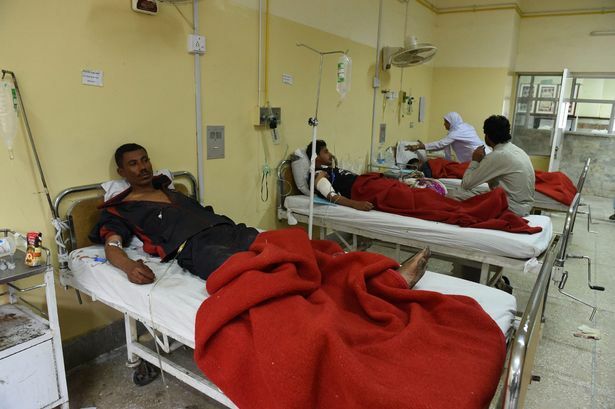 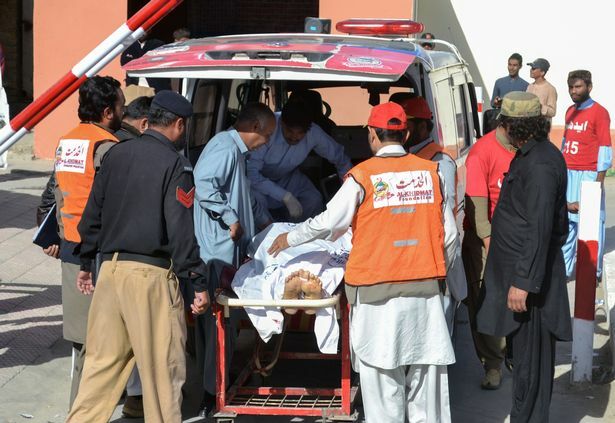 Two of the masked gunmen detonated their suicide vests while cadets were sleeping, injuring more than 100 others in the well co-ordinated assault late on Monday. 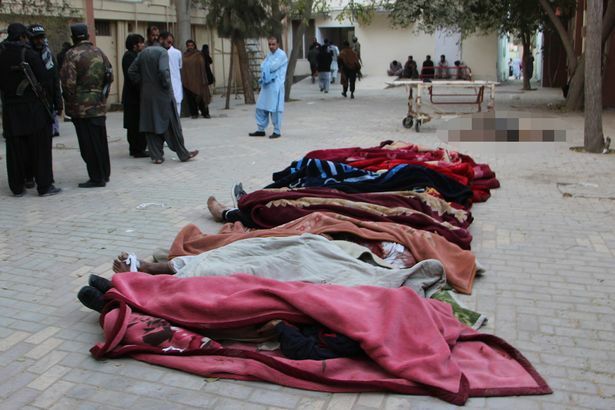 The third was shot dead by security, bringing an end to the five-hour siege, officials said. More than 200 police trainees were stationed at the facility in the city of Quetta when militants stormed inside and opened fire.